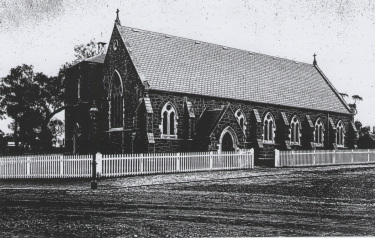 A program to celebrate the 150th Anniversary of services in our Church building is being planned to commemorate the first service held on 3rd March, 1863. - followed by 150th Celebration lunch at Trinity Grammar School building. The lunch will cost $45 per person. Assistance is available for any who find the cost difficult. (normal services will be held on Saturday at 6pm & Sunday at 8am). Saturday 23rd March - 7.30pm - Celebration Concert featuring musicians of Holy Trinity Past and Present. Sunday 21st April - 3pm - Concert of Early Vocal music accompanied by lute and organ. - 2pm Concert with Christian Haigh, extraordinary young organist from the UK.